The next step up from the Shift Improver Kit is the Transpak. 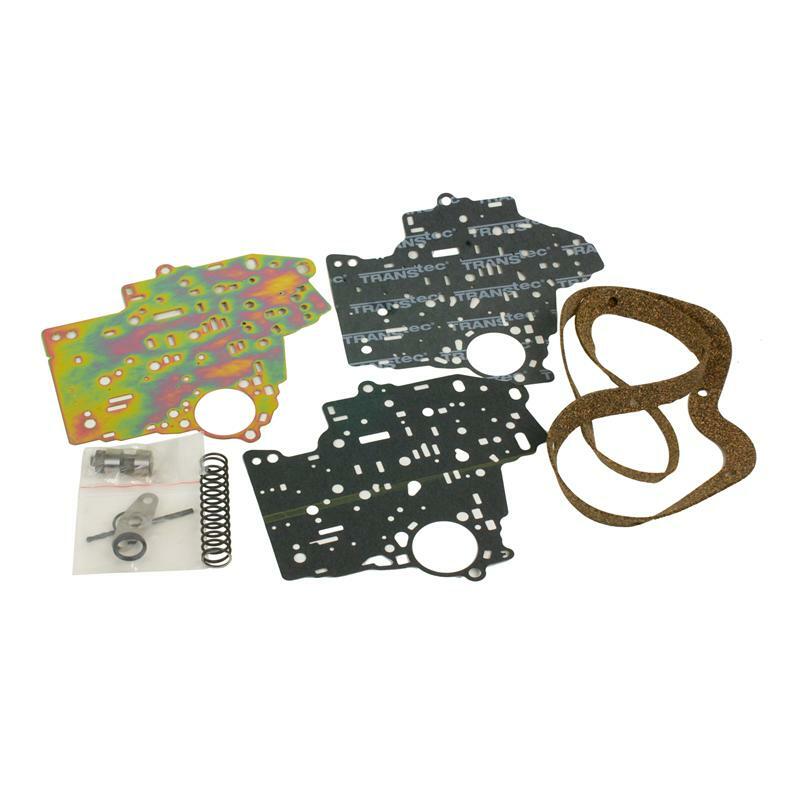 It has all the features in the Shift Improver Kit plus it provides additional driver manual control (GM TH-400, 350, Ford C-6 & Chrysler Torqueflite only). Most stock automatic transmissions won’t downshift into low gear above 15 mph, and automatically upshift at a predetermined speed no matter what gear you’re in. With the B&M Transpak, you can downshift at any speed, and you can hold the transmission in first gear to any speed that you want! This is an asset when you’ve got a modified engine, and you want additional RPMs, or you’re towing a trailer or driving heavy loads downhill.